The aim of this project is to develop a more robust understanding of climate variability and water availability in the Murray-Darling Basin (MDB). This will be achieved through constructing paleo-flow records for the rivers of the MDB, Australia's principal agricultural region. 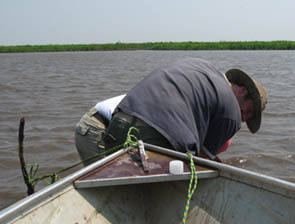 Specifically the project aims to (i) establish a high resolution (decadal to centennial) record of the palaeo-flow regimes of the rivers of the MDB over the last 15,000 years through an innovative approach where flow regimes are modelled using the geochemistry of deposited river sediments, (ii) develop an understanding of the complex behaviour of climate cycles through time and identify their role in driving global climate variability, (iii) determine and quantify the role of climate cycles in influencing water availability within the MDB, and (iv) provide information on the likely response of the MDB to climate change by investigating how the basin has behaved under different climate regimes in the past. This project aims at reconstructing flow regime changes of rivers in the monsoonal 'Top End' of Australia over the last glacial cycle. It documents, chronologically constrains, and interprets fluvial and alluvial deposits in selected catchments based on an integrative and innovative combination of new drilling techniques, single-grain luminescence dating, and quantification of flood magnitudes. Thereby it significantly improves the understanding of the causes and mechanisms underlying the variations in tropical rainfall on the Australian continent, providing crucial knowledge required in planning for an environmental sustainable Australia, and adequately responding to scenarios of future climate change. The headwaters of the Yellow River play a crucial role for the contemporary hydrology across its entire basin. However, important questions in the longer-term evolution along the Upper Yellow River still remain unanswered. Contrasting data and opinions have been published about the timing and processes of fluvial incision and subsequent river capture in the dynamic tectonic setting of the NE Tibetan Plateau. 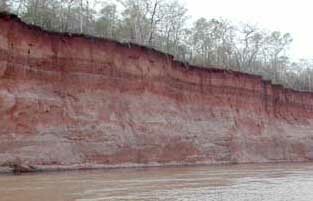 Even less is known with regard to late Quaternary paleoenvironmental and paleoclimate changes, although climate is a first-order control on the longer-term evolution of fluvial systems. In order to clarify these issues, the proposed project will provide new geomorphic and chronologic data from the Tongde basin (Qinghai province). 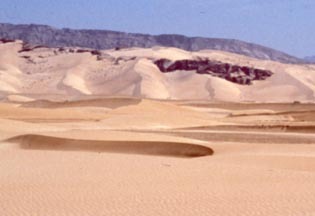 Our project chooses an integrative landscape approach, which investigates the spatial and temporal links between the different landforms (terraces, alluvial fan, paleodunes and loess), and thus takes ALL available information into account for landscape reconstruction as well as the interpretation of geomorphic processes and their controls. This project investigates when central Australia was significantly wetter than now, and if it was warmer or cooler at those times. It will resolve from which oceans and air masses the water came and which deposits provide evidence for periods of sustained wetness and which are evidence of infrequent extreme events. It will solve the fundamental question concerning the timing of wet-dry cycles in relation to the global climate forcing and the source of the fluctuating water supply to the large and agriculturally important eastern Lake Eyre basin (LEB). It will supply reliable data for the rational modelling of changing moisture in central Australia due to climate change and will provide valuable evidence for the future direction of climate change in the LEB on a warmer Earth. Fluvial systems constitute an important archive for the reconstruction of Quaternary paleoenvironments and –climates. 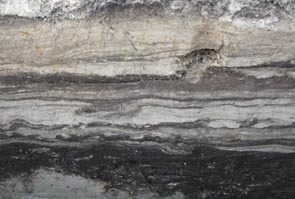 Particularly stable isotope analyses on carbonates formed in fluvial sediments have large potential to provide quantitative information about past climate changes. 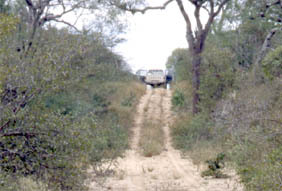 In climatically sensitive areas, e.g. 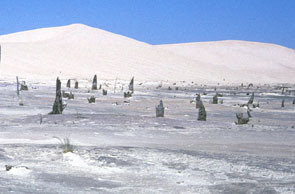 subtropical drylands, not only temperature and precipitation amounts can thus be reconstructed, also the roles of various atmospheric circulation systems, such as the monsoon or the westerlies, are investigated. 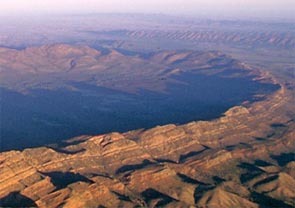 Therefore, the proposed project aims at (i) mapping, documenting and sampling up to three alluvial fans in the Flinders Ranges, South Australia, and (ii) applying carbon and oxygen isotope analyses to pedogenic carbonates in the sediments. Thus, in combination with luminescence and U/Th dating provided by project partners, Mid- to Late Quaternary changes in flow regimes shall be reconstructed and information on past climate conditions be deduced. The Moxos plains (Llanos de Moxos) are among the largest inundated savannah landscapes in the world, characterized by a dense and complex fluvial drainage pattern, belonging to the Amazon system. 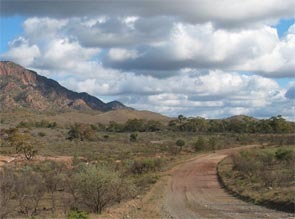 Neither the modern fluvial morphodynamics nor the Holocene variability of the hydrogeomorphological conditions of the Llanos de Moxos is well understood. During the last decades, manifold evidence for wide-spread pre- Columbian human impact on the natural landscape in this area has challenged the myth of an “untouched” Amazonia and replaced it by a picture of densely populated settlements and chiefdoms instead. Nevertheless, almost no field data exist for the interpretation of these human-environmental interactions. 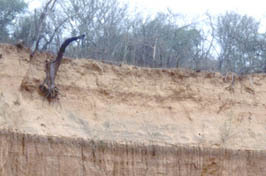 Our project will cover a central part of the Llanos de Moxos and contribute to the following objectives: i) Documenting and clarifying the extent, type, age and meaning of anthropogenic earthwork to better understand the interactions between pre-Columbian cultures and the natural environment; ii) Reconstructing the Holocene variability (natural background conditions) of the hydrological/fluvial system. The main objective of this project is the detailed analysis of two landscape elements of possible anthropogenic origin (forest islands and rectangular lakes) in the Llanos de Moxos, NE Bolivia. No field data exist so far regarding the age and architecture of these elements. However, the differentiation between natural processes and anthropogenic activity is essential for the interpretation of type and intensity of pre-Columbian impact on this lowland ecosystem. 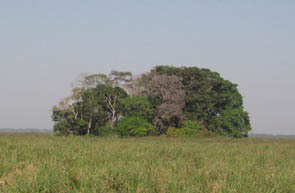 Thus, the planned field campaign and all related analysis are integrated into the larger framework of ongoing paleoecological research in the Bolivian lowlands, aiming at an improved understanding of human-environmental interactions in Amazonia: i) in how far were pre-Columbian human civilizations dependent on the prevailing environmental conditions and their changes in the past, ii) how did humans benefit from the natural environment, and iii) what kind of impact on the ecosystem did they have? The main objective of the project is the reconstruction of landscape and climate history in tropical eastern Bolivia since the last ice age and the expansion and confirmation of results from the ongoing research within past projects (e.g. SNF 21-067937.02/1). The investigations take place in the Bolivian lowlands around Santa Cruz (Paleosol-Sediment-Sequences, Fluvial Geomorphology), being complemented by studies in the Cordillera de Cochabamba (Glacier-Climate-Modeling, Glacial Chronologies using Cosmogenic Nuclides). 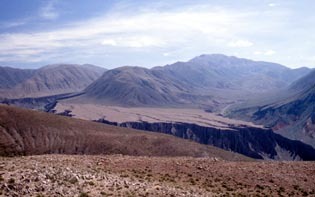 The aim of the presented study has been the reconstruction of a landscape evolution for the Quebrada de Purmamarca in NW-Argentina. Thorough mapping of the landforms and the description of the present morphodynamic situation are the starting point for further observation. One of the essential outputs of the study is a geomorphological map of the study area. 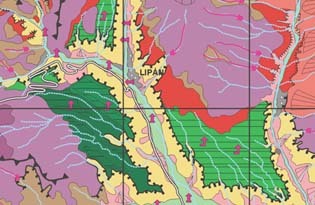 Mapping has been supplemented by sedimentological and pedological observations. According to basic morphogenetic principles, the combined results have been ordered chronologically. 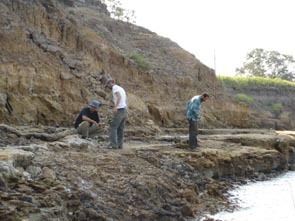 This way they could finally form the base for landscape evolutionary interpretation with particular regard to the discussion of paleoclimate. Various methodological approaches complementing each other have been used. From LANDSAT TM 5 data, high-resolution CORONA satellite imagery and aerial photography, inaccessible parts of the study area could be included in the investigation. In addition these data served overview purposes and have been used as the base for mapping. The main emphasis of this study, however, are the results obtained from several weeks of field work. Aside from geomorphological mapping, field work focused on the description of numerous sedimentological and pedological profiles. The analysis of these profiles was supported by laboratory data from field samples (granulometry, CaCO3 content) but also by a 14C age date. With particular regard to pedological questions, several samples from soil crust were micromorphologically analysed and interpreted. In conclusion, based on these data, several phases of landscape evolution have been reconstructed for the Quebrada de Purmamarca. Depending on their timescale, the different phases show evidence for different controls of landscape change. 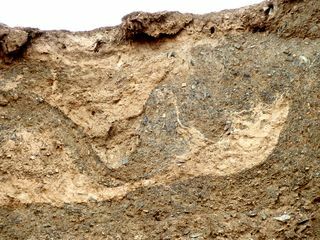 Unter der steigenden Zahl geowissenschaftlicher Untersuchungen im Jemen sind geomorphologische Arbeiten bislang die Ausnahme. Gerade im Zusammenhang mit hydrologischer und geologischer Forschung hat die Geomorphologie aber heute eine Reihe von anwendungsbezogenen Möglichkeiten, trägt sie doch zu einem tieferen und umfassenderen Verständnis der Umwelt bei. 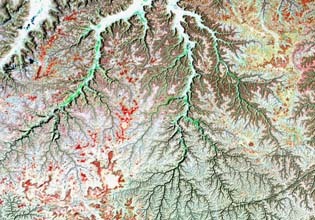 Während die geomorphologische Feldforschung immer auch abhängig ist von politischen Umständen, sind es in zunehmendem Masse frei verfügbare Fernerkundungsdaten, die nicht nur dem Fachmann, sondern auch dem landschaftlich interessierten Jemen-Reisenden einen Überblick sowie detaillierte Einblicke in die enorme landschaftliche Vielfalt des Jemen vermitteln können.